Feast your eyes (and heart) on this! 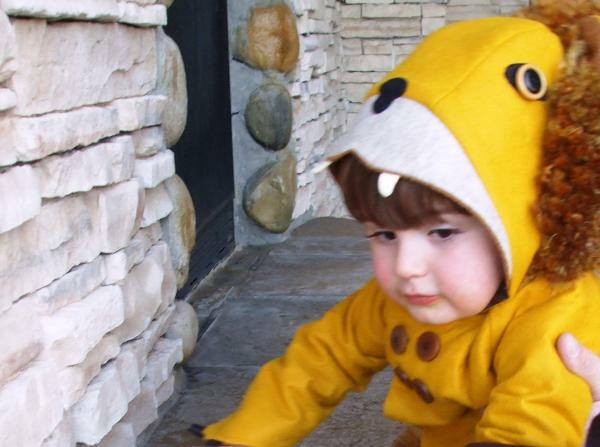 The loveliest animal costumes you’ve seen all year. 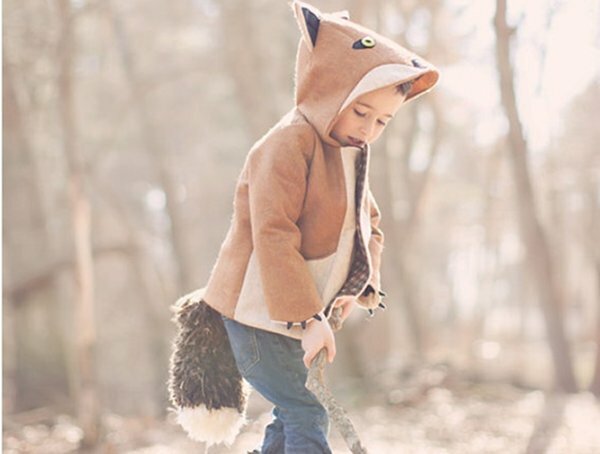 These cute animal coats by Little Goodall have ‘cuddle me’ written all over them. Aren’t you just smitten? Made from wool blend felt and lined with poly fleece, they’re cosy and warm. Quality materials, design and craftsmanship ensure you’ll keep them around for years. These coats are heirlooms in the making. Although practical in comfort and warmth, they do need dry cleaning which is a small effort to pay for such a unique piece. 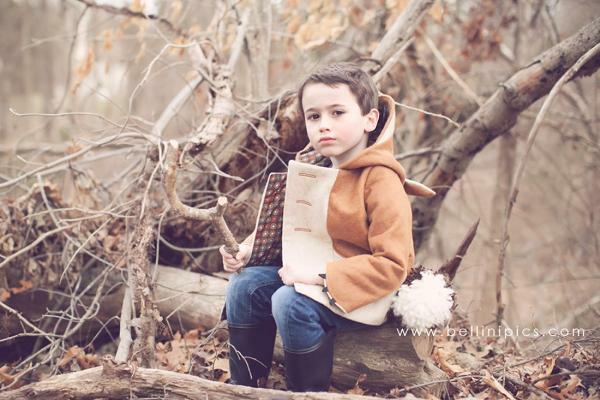 Styles in the animal coat range include The Ferocious Felt Lion (shown below), Fantastic Little Fox (shown above), and the Fantastic Little Grey Fox (shown at the bottom, it’s a grey version of Fantastic Little Fox). 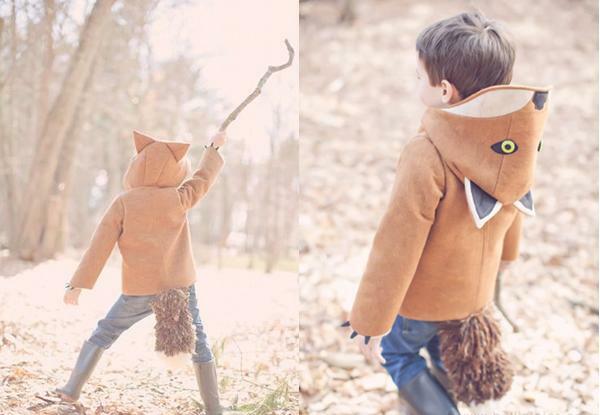 Coats have extra special trimmings like claw-tipped sleeves, patterned cotton lining and twitchy tails. These droolworthy fasion items are world class, even the eyes are made from vintage buttons. Coats start at US$145, they’re made to order so allow some time if purchasing for a special event. You can always create a dress-up event of your own, especially seeing as Little Goodall make coats in ladies sizing too. Children’s coat sizes start at twelve months. Animal coats are available for purchase from Little Goodalls Etsy shop. 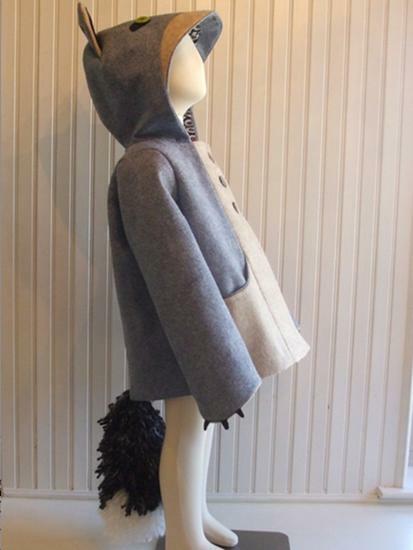 You can find more cosy coats on our Playtime Tokyo post, they’re fashionable, dapper and warm.